****This is part of my Cool Cat Library Decor Set - BUNDLE. 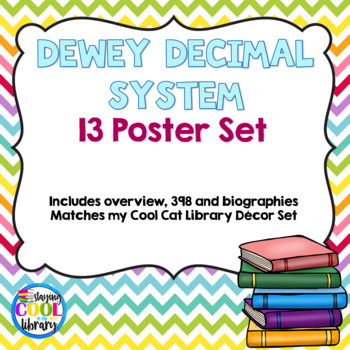 This is a set of 13 Dewey Decimal posters. 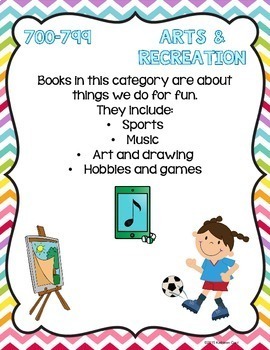 There is a poster with all the categories, a poster for the 10 main categories and one for 398 and 92/biographies as well. 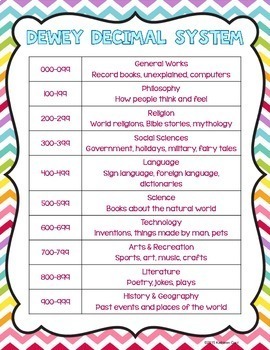 These have the same content as my other Dewey Decimal Posters but have a different background. 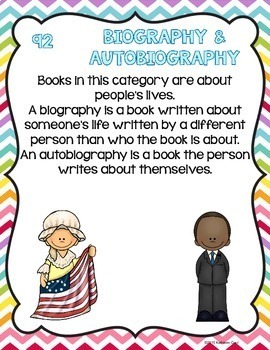 I just added an editable PowerPoint slide so you can add your own text. The same font/color is used and is embedded in the PowerPoint. This way they will look the same.